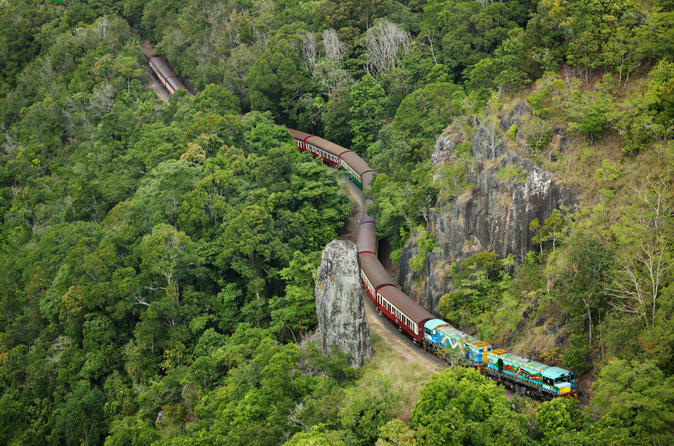 Experience the ultimate Kuranda visit with a skip-the-line ticket for the Kuranda Scenic Railway and Kuranda Skyrail, plus Gold Class service on the Kuranda Scenic Railway. Be amazed at the views of the rainforest and Cairns' beautiful coastline as you glide along the Kuranda Skyrail Rainforest Cableway. Have your camera handy as you travel on the Kuranda Scenic Railway, passing Stoney Creek Falls, Barron Falls and Horseshoe Bend. With plenty of free time to shop and to visit the wildlife exhibits in Kuranda, you'll enjoy the best of the region on this popular day trip. See the Great Barrier Reef's coral and marine life on this full-day trip from Port Douglas. 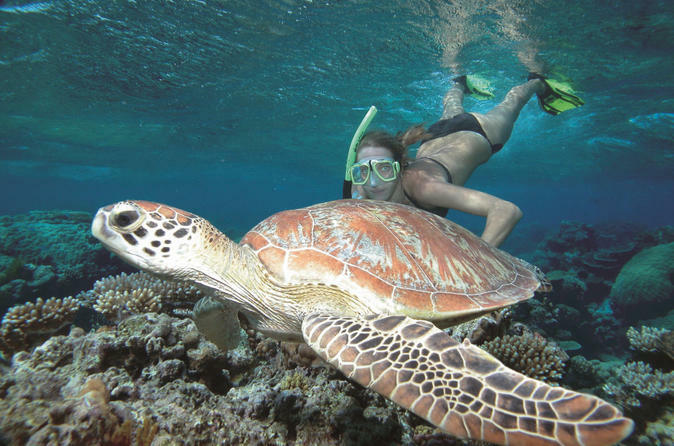 Whether you are a snorkeler or a scuba diver, experienced or a novice, this snorkel and dive cruise from Port Douglas is the perfect day out on the Great Barrier Reef. Visiting three different dive sites you'll discover the abundant marine life and diversity of coral which the Great Barrier Reef is world-famous for. Experience a peaceful, tranquil sunset during a sailing cruise from Port Douglas. After being welcomed aboard a luxury catamaran with a complimentary drink of your choice, sit back, relax, and enjoy ambient music and a selection of hot and cold gourmet canapés in the friendly atmosphere. Sail along the coast of Port Douglas and admire a gorgeous tropical sunset over the Coral Sea, the Low Isles and the surrounding mountains. 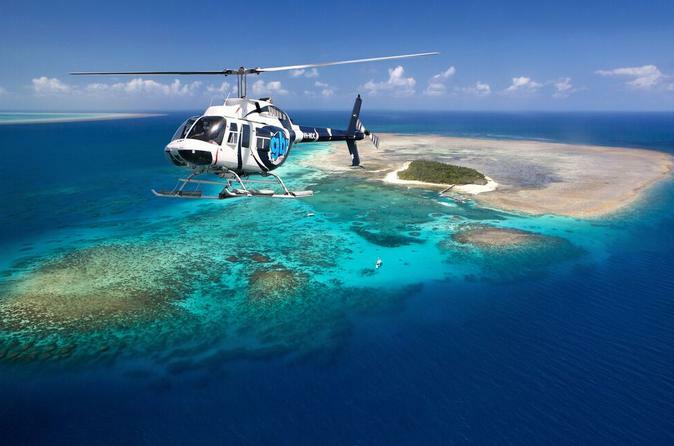 Explore Australia's Great Barrier Reef from the air and the water! A scenic helicopter flight or high-speed catamaran cruise from Port Douglas will take you to the Outer Barrier Reef platform on Agincourt Reef, a sheltered base for a day on the Great Barrier Reef. Explore the reef snorkeling, from a semi-submersible submarine or from the underwater observatory. You can choose to travel by scenic helicopter one way and cruise by high-speed catamaran the other, or take the helicopter in both directions. The choice is yours! Experience the Daintree Rainforest and Australia's rich Aboriginal culture on this full-day tour from Cairns or Port Douglas. 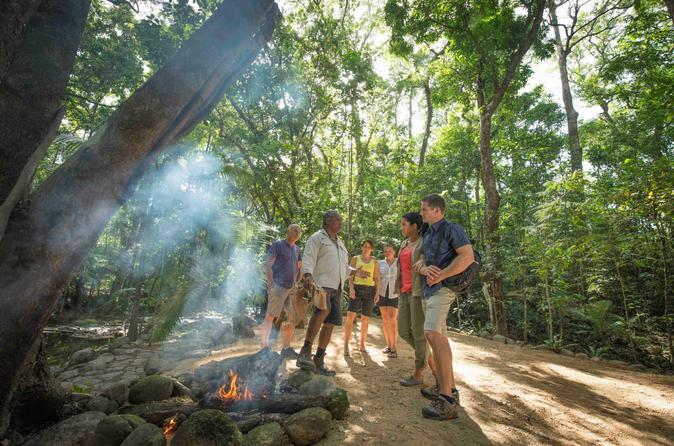 Learn about traditional hunting and gathering techniques on Cooya Beach with an indigenous guide, then visit the World Heritage-listed Daintree Rainforest. Gain insight into Australia's indigenous heritage and marvel at the natural beauty of the forest, with two options for the afternoon: walk through the forest to a watering hole; or upgrade to tour the forest with an Aboriginal guide who shares Dreamtime stories and deep knowledge of the land. Throughout the day, enjoy a hands-on experience on this small-group tour limited to 18 participants. 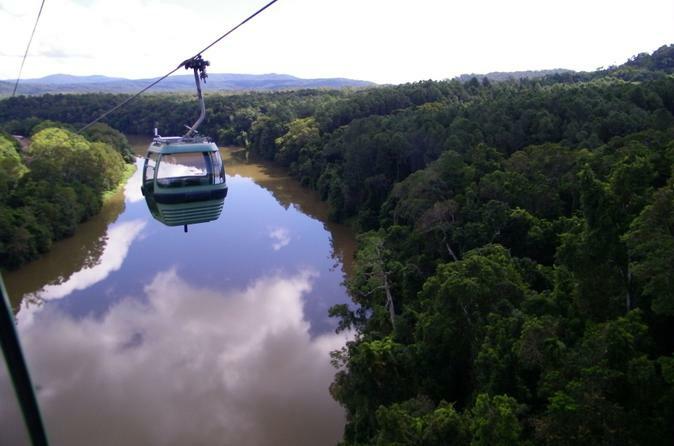 Enjoy the tranquility of the rainforest as you soar above the canopy aboard the Skyrail on a day trip to Kuranda from Port Douglas. Choose from a variety of options including Kuranda Scenic Railway, Tjupakai Aboriginal Cultural Park or the popular Rainforestation Nature Park. Visit the award-winning Wildlife Habitat and get up close to Australian native flora and fauna. This wildlife experience just outside of Port Douglas has been created to provide a window into the natural environment. There are three different environments to explore – the Wetlands, Rainforest and Grasslands, each with unique habitats. 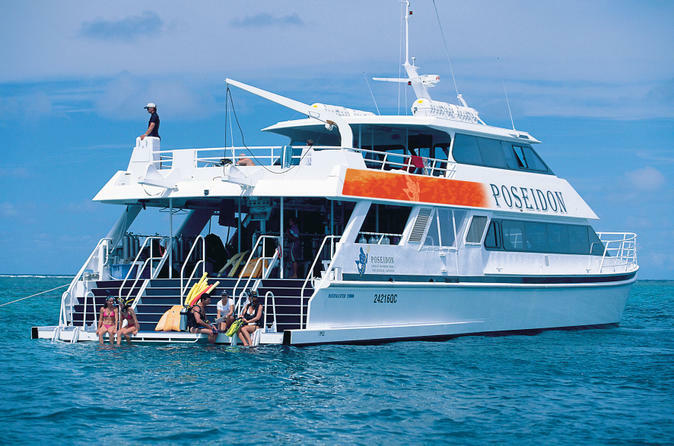 For a prestigious Great Barrier Reef experience, take a ride on an ultra-modern, high-speed, luxury catamaran to three Outer Reef sites for the best diving and snorkeling out of Port Douglas. The cruise includes a seafood buffet lunch, a reef interpretation talk and a guided snorkel tour of Agincourt Reef. 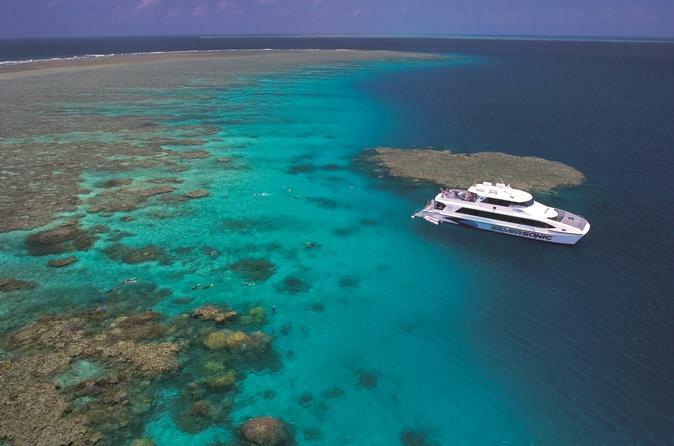 Enjoy a greater level of comfort and service on this luxury cruise to some of the Great Barrier Reef’s premier diving sites.